6pm Deals! New Balance up to 75% off! Free shipping! Earn $10 Kohl's Cash for every $50 spent. Valid 8/16-8/23. *Should go live when new ad starts 11pm MST on 8/15. Ensure listed on homepage before ordering! Shopko! FREE SHIPPING on all kids clothes and shoes - no minimum! Lots of other items to choose from with this sale. Hurry before it is all gone! CAT Light and Sound Massive Machine Excavator with Figure - 15"
Summer Clearance Blowout: Save up to 80% at Oneida.com! Hurry, Ends 8/21! Choose Your Offer at BC Outlet - % off codes or shipping code! Fall is almost here! Think boots! Payless deals plus $10 off $25! NewYork&Co - Free shipping, Extra 30% off! Pants & Jeans B1G1 FREE! All Pants and Jeans - Buy 1 Get 1 Free! 30% Off Everything with code 2140 *Excludes pants and jeans. ShopGetOrganized.com - Clearance up to 90% Off! HSN 15% off code! Now through Friday! Up to 50% off Transcend Memory! 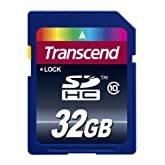 32 GB Class 10 SDHC Flash Memory Card $17.99! Free shipping on $25 orders or ANY order with Prime! Today only--and just in time for Back-to-School--get up to 50% off on memory products from Transcend Information. Upgrade your desktop or laptop with Transcend Information's 320-Series solid-state drives; boost the performance of your camcorder, digital cameras, and other devices with Transcend Information Class 10 SDHC memory cards; and store all your files and pictures on your Transcend JetFlash retractable USB flash drives. Whatever your memory needs, enjoy Amazon.com's lowest prices ever on Transcend Information, today only. Nuance Dragon NaturallySpeaking Home 11.0 $30 shipped! Sharp Scientific & Fraction Calculator With Advanced DAL $10 shipped!